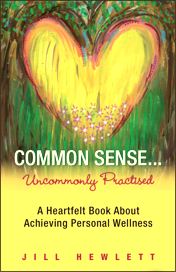 Common Sense... Uncommonly Practised is a celebration of the marvelous journey we’re all taking in search of wellness in all three of life’s most essential realms: mind, body and heart. Here, find a wealth of real-life lessons picked up along the author’s way, time-tested and delivered in bite-sized doses of eminently useful enlightenment. Read Jill’s words and enjoy the refreshing perspective of a woman whose pleasure at having discovered a means for a more meaningful life is palpable. Share in her findings through this highly readable, extremely practical collection of reflections on how you might identify and apply the same wisdom to your own life. 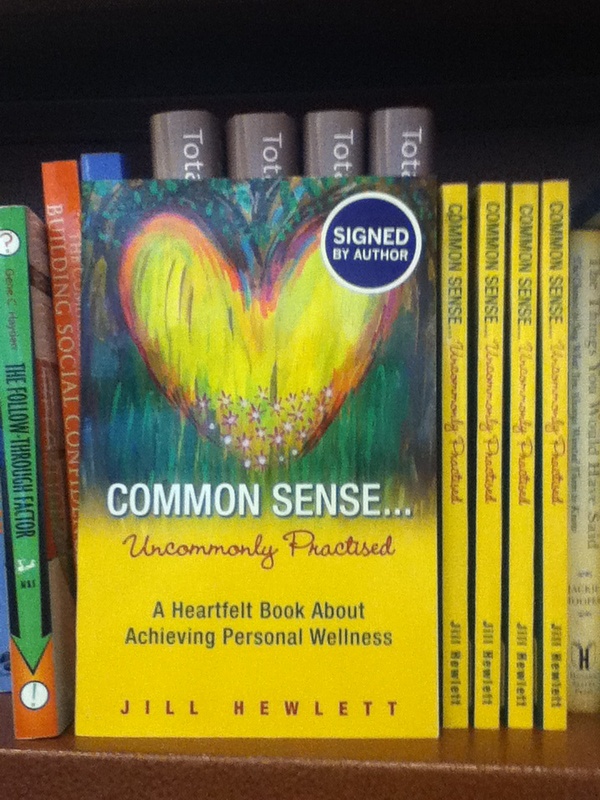 "In her book Common Sense… Uncommonly Practised, I love how Jill takes everyday events and reveals insights and life lessons that only a person with an uncommon sense of high awareness… commonly practiced, would recognize. More than just informing, educating and entertaining, Jill’s enlightened observations and knowledge, wit, humour and interesting stories can stir your emotions, arouse curiosity, inspire you and have a meaningful impact on your life. You will likely enjoy a wide range of emotions including laughter, tears, goosebumps due to messages resonating as truth in your own life, and a warm feeling of being safe and understood. If you are seeking guidance toward uncovering your true passion and purpose in your life, Jill’s book is worth reading once for an enjoyable overview and then at least a second time to really absorb all her wisdom. Her words will touch, nourish and inspire your soul." "Jill’s profound wisdom is timeless and universal. It is a beautiful blend of humour and heartfelt inspiration. Jill's clarity and sense of awareness bring peace to one’s soul. 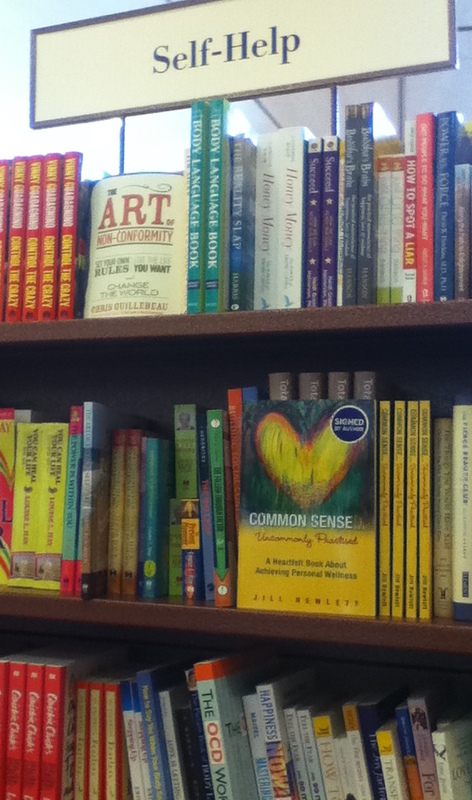 There is a moment of enlightenment awaiting everyone who reads Common Sense... Uncommonly Practised." "Jill’s writings will challenge your views on everyday situations, help you see things in a positive way and leave you wanting to read more!" - Pat Ashby, High School Teacher, Aurora Ont. "In reading and listening to Jill Hewlett’s observations on the spiritual life and connecting to ourselves as well as others, one undeniable fact resonates repeatedly: the woman knows whereof she speaks. Her engaging and always accessible manner of revealing our truest selves to us is nothing short of an inspiring gift. Do yourself and your life a huge favour: Be inspired by Common Sense... Uncommonly Practised." AFTER COMPLETING YOUR PAYPAL PURCHASE, IT IS NECESSARY TO CLICK THE LINK 'RETURN TO JILL HEWLETT INC' TO RECEIVE YOUR EBOOK.